The Biotechnology Archives document the leadership of scientists and corporations in the Bay Area in the development and growth of biotechnology. UCSF has played and continues to play a prominent research and development role in the field of biotechnology. UCSF scientists have been at the forefront of the field, and their research has had a tremendous impact on science and medicine, resulting in the birth of a vigorous biotechnology industry. UCSF faculty have founded major companies, such as Genentech and Chiron, and trained substantial numbers of scientists currently employed in the industry. The combined efforts of researchers in universities and in industry have achieved many biological milestones, such as the scientists affiliated with UCSF and Genentech who first engineered bacteria to produce human insulin. Biotechnology’s influences are felt on the economy, environment, and social welfare of the San Francisco region, as well as nationally and internationally. It is crucial that this impact be documented and preserved. Dr. Bruce M. Alberts, prominent science educator and former president of the National Academy of Sciences. Dr. J. Michael Bishop, co-recipient with Dr. Harold E. Varmus, of the 1989 Nobel Prize in Physiology or Medicine for the discovery of oncogenes. 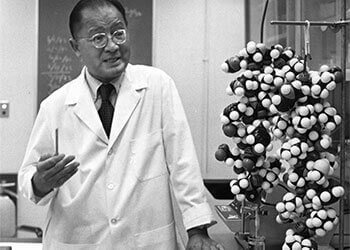 Dr. Choh Hao Li, who synthesized human growth hormone. Dr. Ira Herskowitz, a pioneer in pharmacogenetics whose study of the yeast Saccharomyces cerevisiae provided insight into the fundamental aspects of cells. Dr. William J. Rutter, who developed genetically-engineered human insulin. Dr. Gordon Tomkins, who formulated the “metabolic code” as a theoretical approach to understanding the phenomenon of regulation and genetic expression. Dr. Harold E. Varmus, co-recipient with Dr. J. Michael Bishop, of the 1989 Nobel Prize in Physiology or Medicine for the discovery of oncogenes (three different collections: MSS 84-25, MSS 93-51, MSS 88-47). The National Library of Medicine also has a page on Dr. Varmus on their Profiles in Science site. Dr. Keith Yamamoto, an international leader in studying the mechanisms of signaling and gene regulation by intracellular receptors. He also served as Chairman of the Board on Life Sciences at the National Academy of Sciences and is currently a member of the National Advisory Group on Genome Editing. The UCSF Archives also holds departmental records such as Annual Reports for the Department of Biochemistry and Biophysics. In 1992, the UCSF Department of the History of Health Sciences initiated the UCSF Molecular Biology and Biotechnology Oral History Series in order to document contributions to these fields by major campus scientists. This series provides a factual, contextual, and personal history of the development of molecular biology and biotechnology at UCSF. Oral histories have been recorded with Dr. William J. Rutter, Dr. Herbert W. Boyer, and Dr. Keith R. Yamamoto. Additional oral histories related to biotechnology (including individuals from UCSF as well as other institutions) are also available in the Bancroft Library at the University of California, Berkeley, and online.